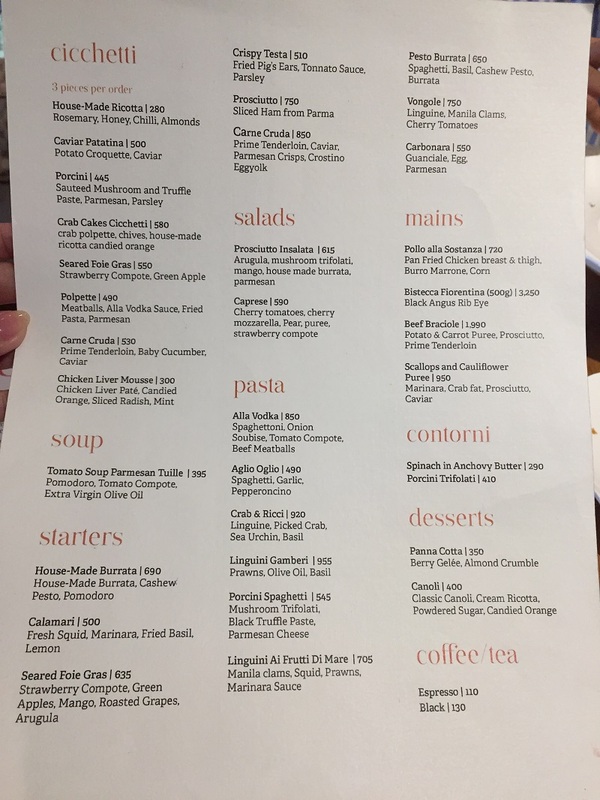 With an idea to fill in the void with Italian bites here in the Philippines, Cicchetti restaurant was born. Cicchetti is an Italian term which literally translates to “small bites.” These one-bite snacks are basically the Italian version of the Spanish appetizer called tapas. Its origin came from Venice, Italy where Cicchetti snacks are served in carts at the Venice Piazza tower. It started with people following the shadow of the tower to avoid the sun while eating individual Cicchetti snacks and drinking a glass of wine. 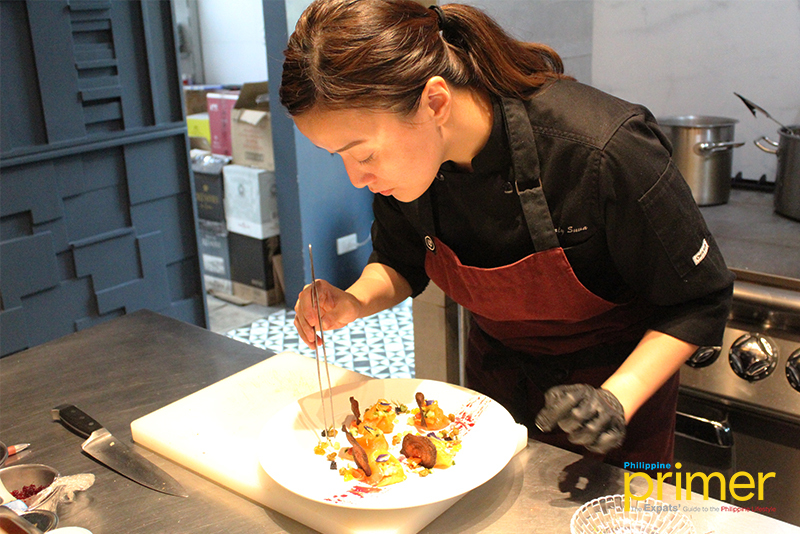 The whole concept of eating bite-size Italian snacks in the shadow is what inspired owner Indy Villalon to build Cicchetti restaurant in the center of BGC, away from the fast-paced locations in the urban district. 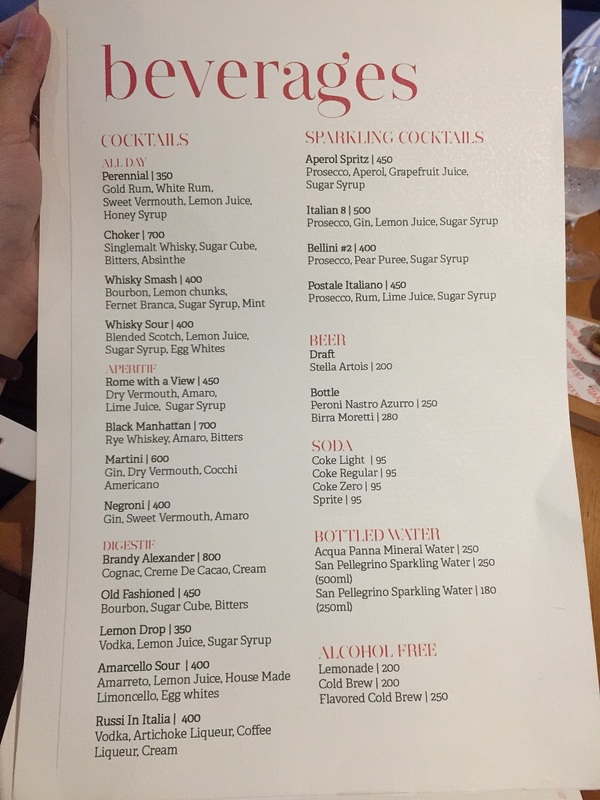 The Italian aperitif bar was established two and a half years after its sister restaurant The Belle & Dragon in 2015. “Standing in the shade, being away from the sun like a restful place is what we wanted to build here [in Cicchetti],” said Villalon. Cicchetti is divided into two sections. ‘The Restaurant’ is a small cozy place where guests can dine and enjoy the Cicchetti and pasta dishes. 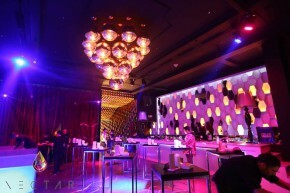 There are four tables inside and a mini bar set up at the far left as it only occupies a small room floor. 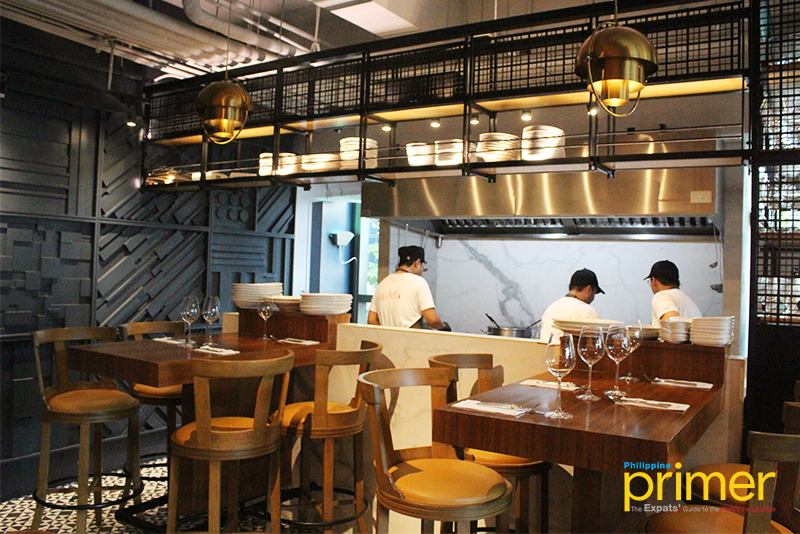 But what makes this restaurant special is their show kitchen wherein diners can sit at the Chef’s table to see and know how each dish is prepared right in front of them. “You’ll notice there are two tables here which are like the Chef’s table, it’s where you can really talk to the chefs. They’ll tell you what they are doing and that’s what we really wanted. [It’s for] people to see, to know, and to understand why we cook things a certain way. I think that is something different we have from the other restaurants,” he explained. After a meal, guests may stay at Cicchetti’s al fresco space called ‘Mazzo.’ It is a spacious deck with a bar and seating area for those who want to hang out with friends while drinking wine or cocktails. Here is where guests can hold events or special occasions as it can fit up to 150 people in the deck. 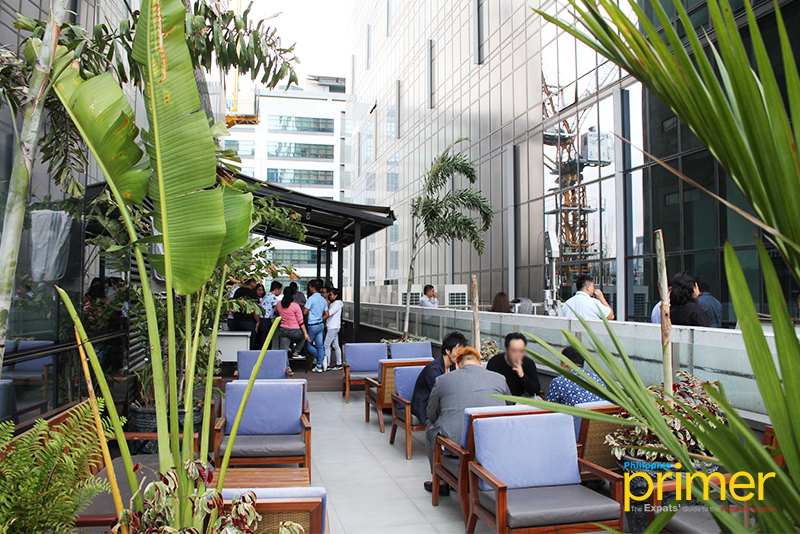 It is also a perfect spot to see the sunset in the afternoon with an overlooking cityscape view. In Cicchetti, they aim to serve only the best and freshest Italian specialty dishes by making their own ingredients in the house. They have another kitchen just a floor below the main restaurant where they make as their own ricotta cheese, pesto, burrata (Italian cow milk cheese), and bread. (R-L) 8 kinds of Cicchetti: House-made Ricotta, Caviar Patatina, Porcini, Crab Cakes Cicchetti, Seared Foie Gras, Polpette, Carne Cruda, and Chicken Liver Mousse. Last is the Chicken Liver Mousse (Php 300), a chicken liver Paté with mixed berry jelly, fresh radish, and candied orange. 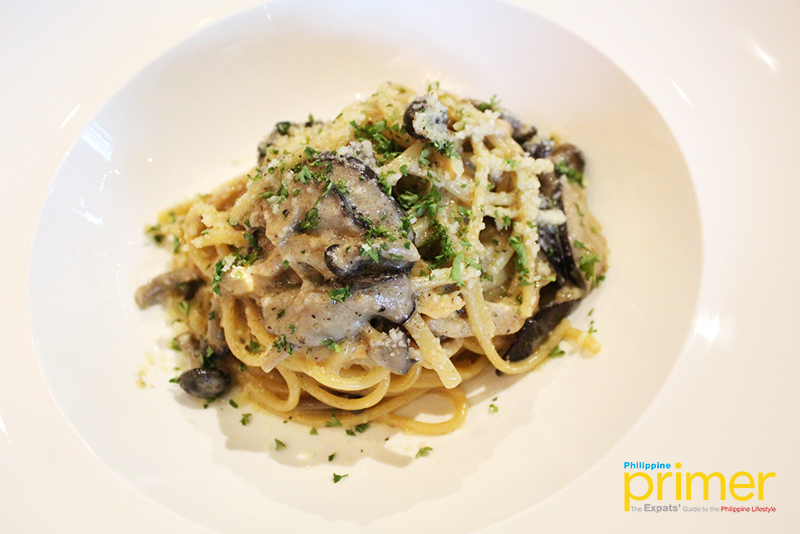 One of their three best-selling kinds of pasta is the Porcini Spaghetti (Php 545). It is a healthier version of spaghetti according to Chef Suva. It has three kinds of mushroom with truffle paste and finished with parmesan, fresh basil. 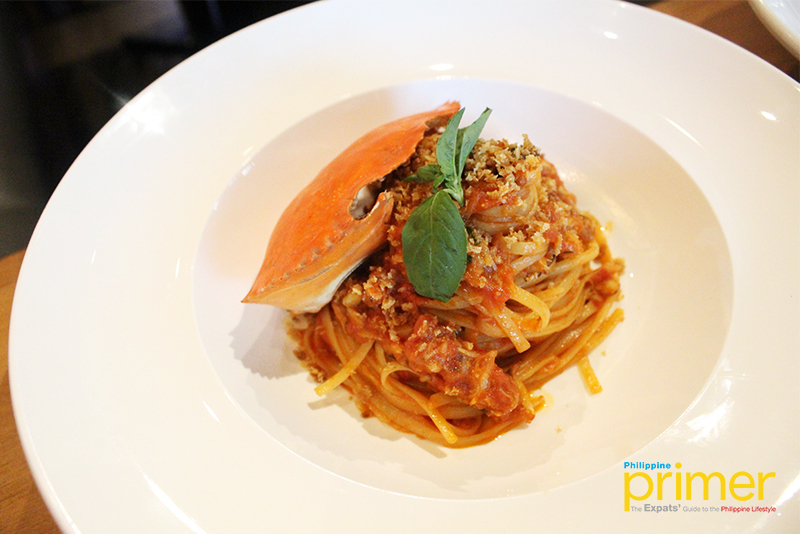 Their Crab & Ricci (Php 920) is the right choice for those who are looking for some seafood-rich pasta. Ricci is the Italian term for sea urchin. To create this dish, they only use hand-picked crab and sea urchin shredded and folded into the thin pasta with breadcrumbs and fresh basil on top. 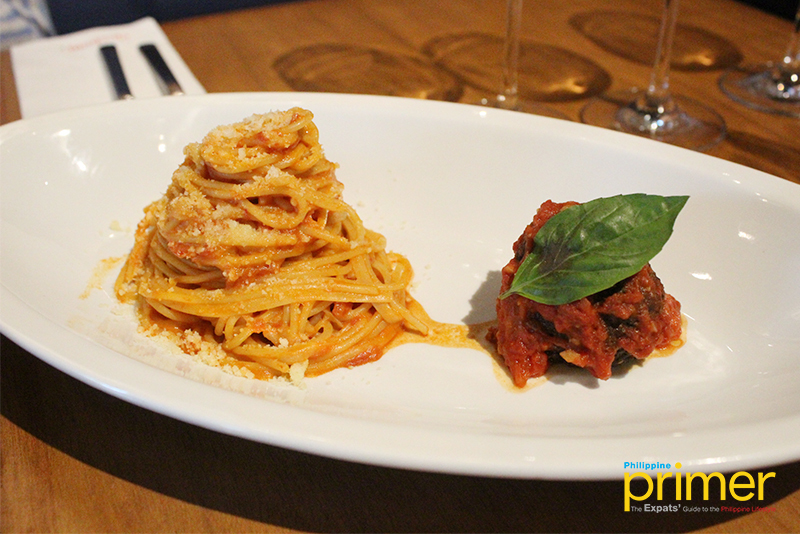 Alla Vodka (Php 850) is one of their star dishes which is a combination of Italian and American pasta. The pasta used in this dish is Spaghettoni, a thicker version of the common spaghetti pasta, while the sauce is made from onion soubise and tomato. On the side is a big ball of pure beef meat topped with tomato sauce and fresh basil. If you want to experience sophisticated Italian dining whilst being comforted with savory snacks, pasta, and drinks, drop by Cicchetti at MDI Corporate Center, Bonifacio Global City, Taguig City. By car: From Bonifacio High Street, drive straight along 5th Street then make a right turn onto 34th Street. Turn left onto 9th Avenue and turn right at 39th Street. The MDI Corporate Center is on your left side.